THE ENDLESS SUMMER— The South lost at Gettysburg but it certainly wasn’t the end of the story. 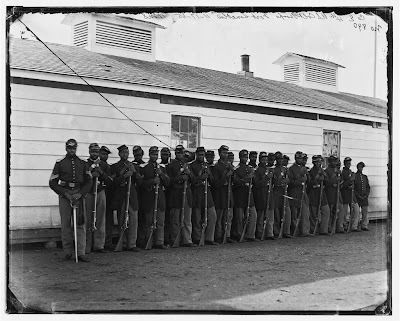 All the what if’s before, during and after those fateful three days in July, 1863 continue to be debated in the hearts and minds of interested historians both professional and arm chair varieties. The Battle of Gettysburg was a Northern victory. It may not have been an overwhelming one, but it contributed mightily to turning the tide away from the South. Rebel General Robert E. Lee’s Pennsylvania gambit failed. It was also was a bitter personal defeat because Lee owned (and admitted) total authorship of the failed invasion. After Gettysburg the South won few, if any, major battles. --Pulitzer Prize winning “The Killer Angels,” a novel of the Civil War by Michael Shaara. The movie “Gettysburg” followed the book closely. --“The Gettysburg Campaign,” by Edwin Coddington, a non-fiction account that is the earliest and still important narration of Gettysburg. --“Last Chance for Victory,” by Scott Bowden and Bill Ward. Its focus is Robert E. Lee and the Gettysburg campaign. It has a slight Southern accent. --“The Stand of the U.S. Army at Gettysburg,” by Jeffrey C. Hall. Exhaustive in its map and manpower detail. At this date, I can think of no new work that will be more comprehensive. Author admits he’s a Yankee fan. --Also, the Internet is filled with Civil War records. I found the official report of the battle by Robert E. Lee and compared it with that of his top aide James Longstreet. One was the report of a tired man and the other someone deeply frustrated. --Give your Civil War buff a 2012 calendar by going to www.Civilwar.org. Proceeds support the Civil War Trust’s mission to preserve Civil War battlefields. $10 each. Images: Courtesy Library of Congress. 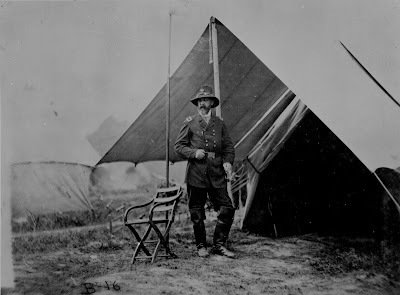 General George Gordon Meade, commander, the Army of the Potomac shortly after the Battle of Gettysburg. African American Union Army soldiers, November, 1863.